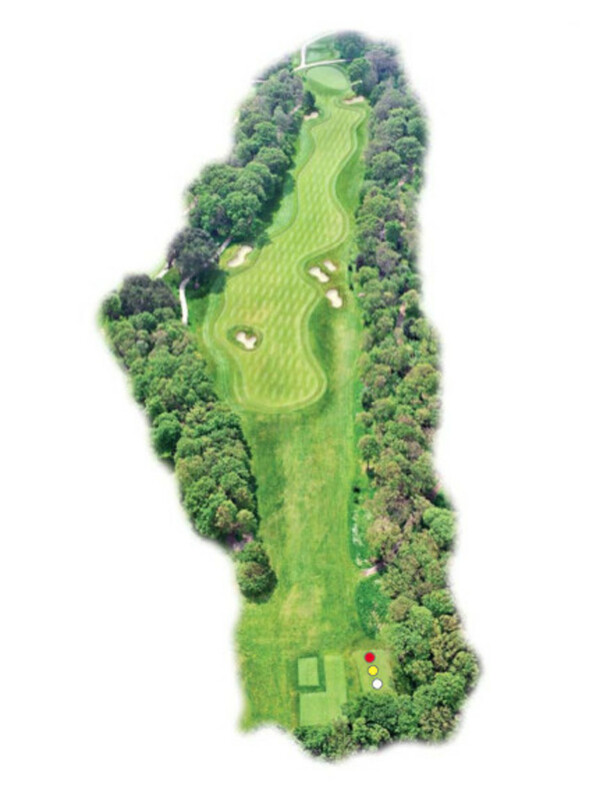 5 :: Coombe Hill Golf Club welcomes visitors from all over the world to enjoy in the delight of meeting the challenges of one of Englandâ��s most highly rated and traditional courses. Back to back par 5’s and a real opportunity to enhance your score or get it back on track. Take a driving line just inside the group of bunkers on the right side of the fairway to get into the best position. Now you must decide whether to lay up short of the two cross bunkers and leave yourself a short pitch or to take on the green for two? When hitting into the green you must allow for a heavy right to left slope on the putting surface!